Wondering how you can profit from cashback sites? 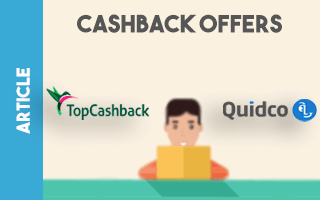 Check out Cashback Sites Offers guide! The next few days are pretty quiet for football so it's a good time to complete new Casino Cashback offers worth £40 expected profit. We have just spotted new Regal Wins and Lucky VIP Casino £21 Cashback offers each worth £20 expected profit in TopCashback - plus a boosted £50 Cashback for Dunder on QuidCo that ends on Tuesday 27th March. Enjoy the profit! Hope you make a tidy profit from these cashback offers and please do discuss these offers in the Cashback Facebook Group post thanks!